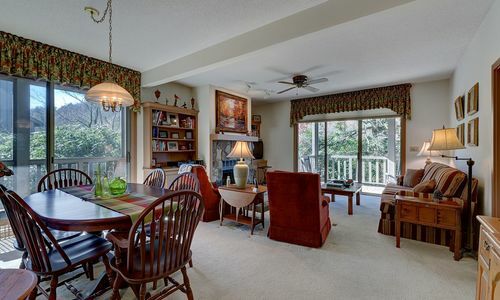 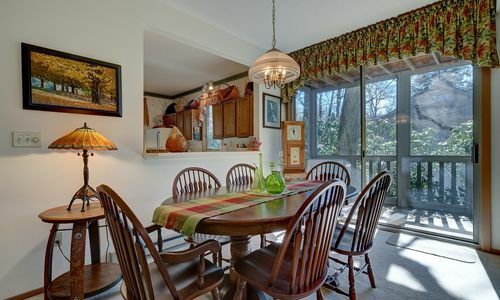 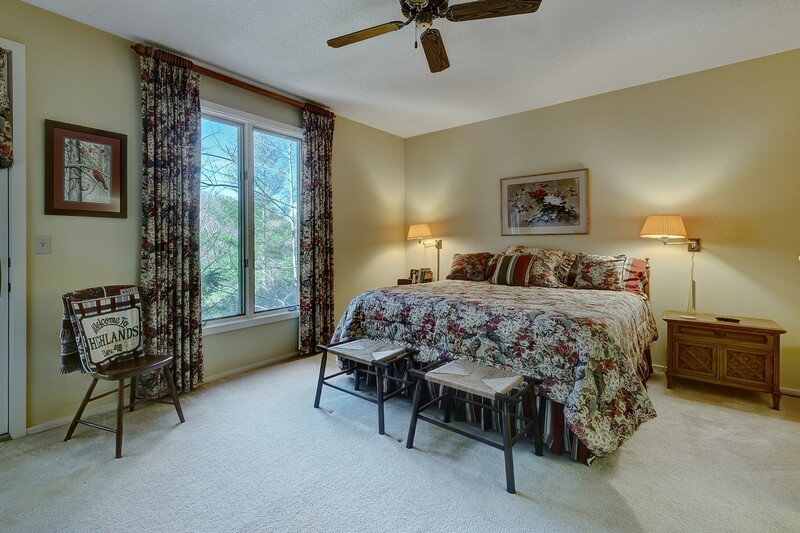 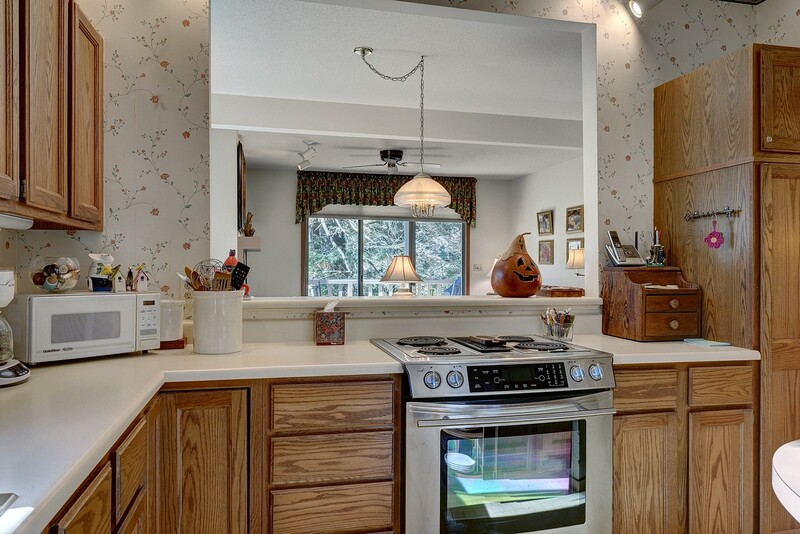 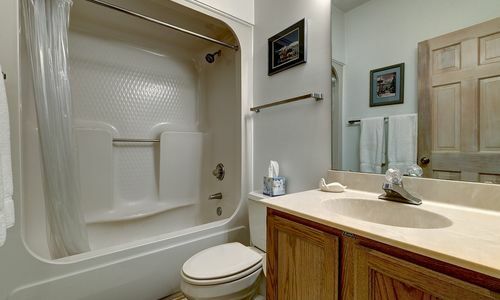 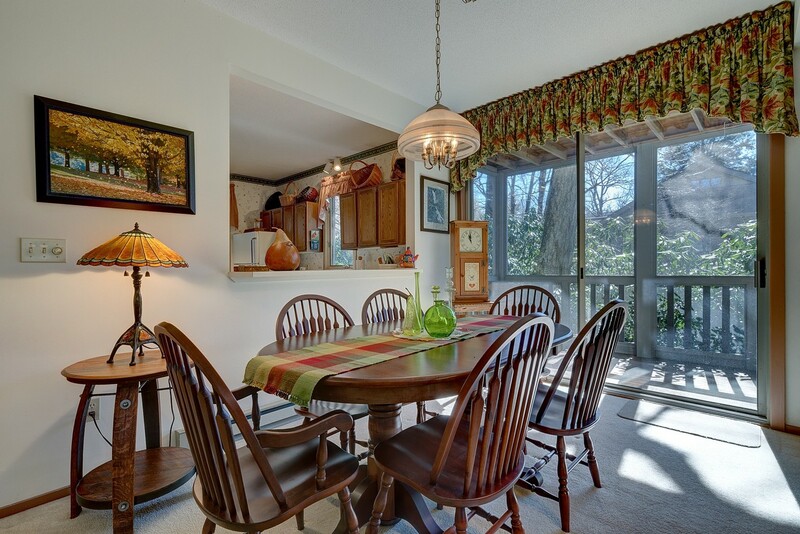 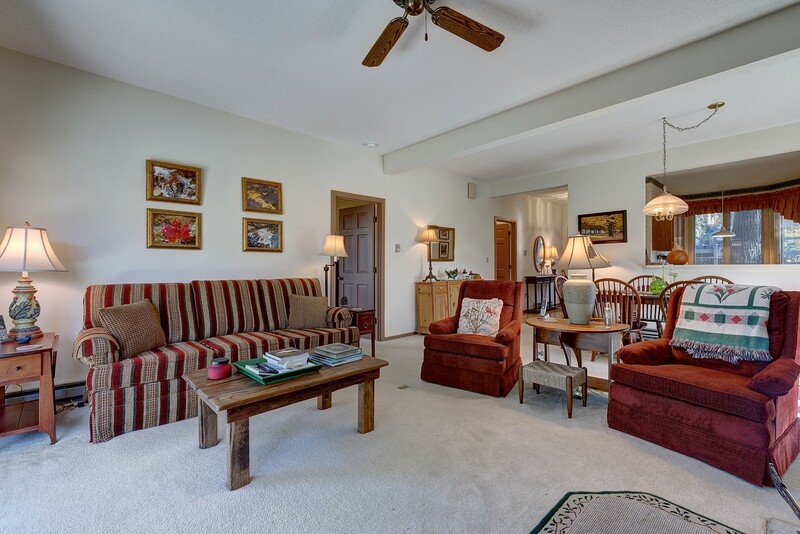 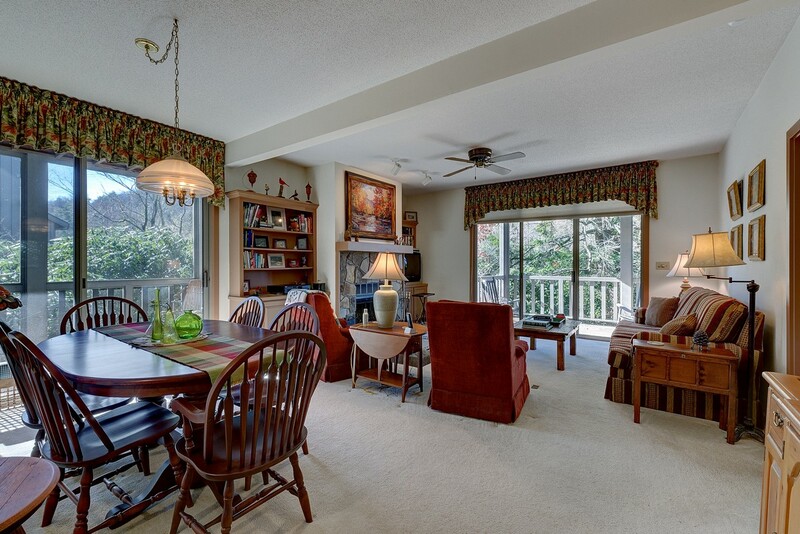 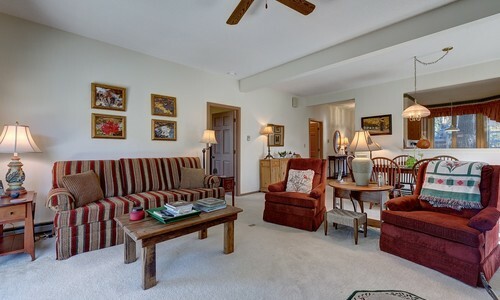 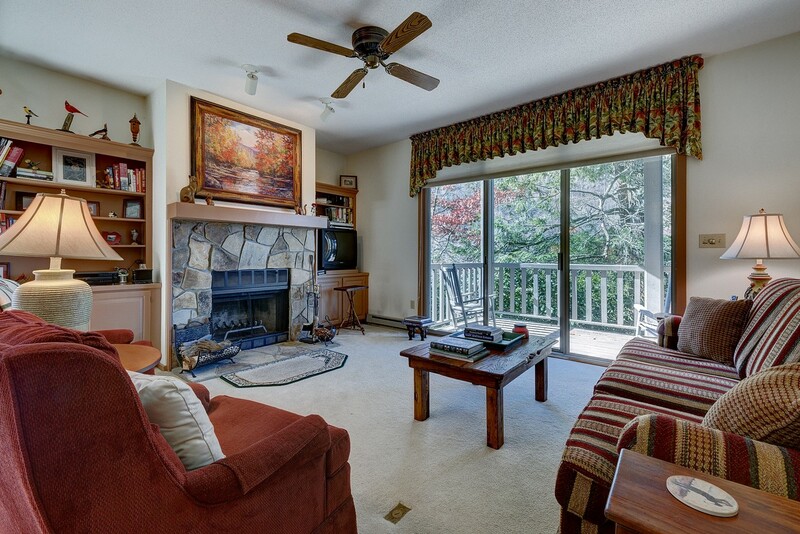 This great condo has been lovingly cared for by the same owners for over 20 years. 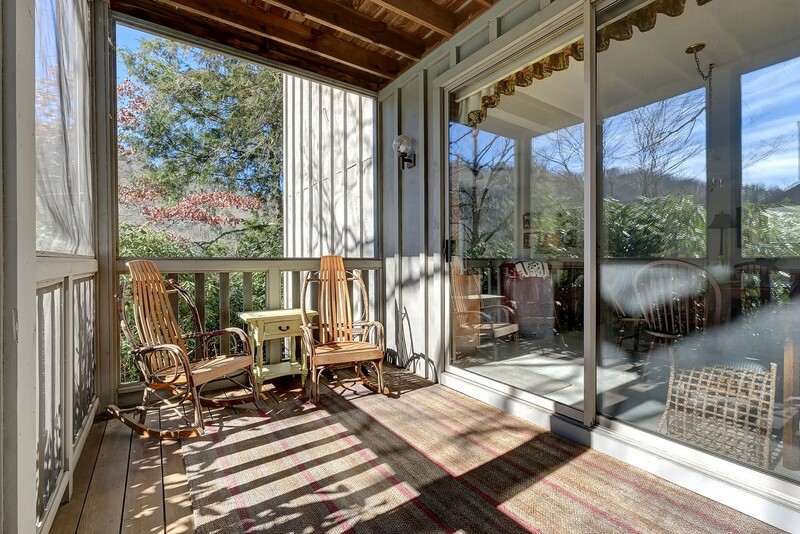 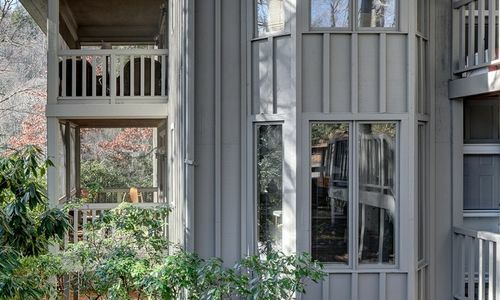 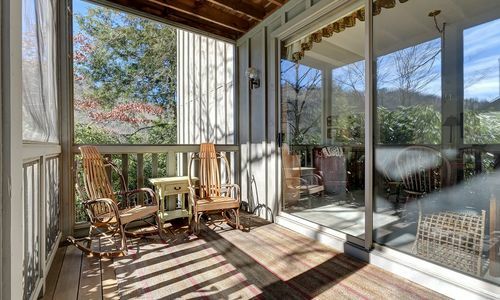 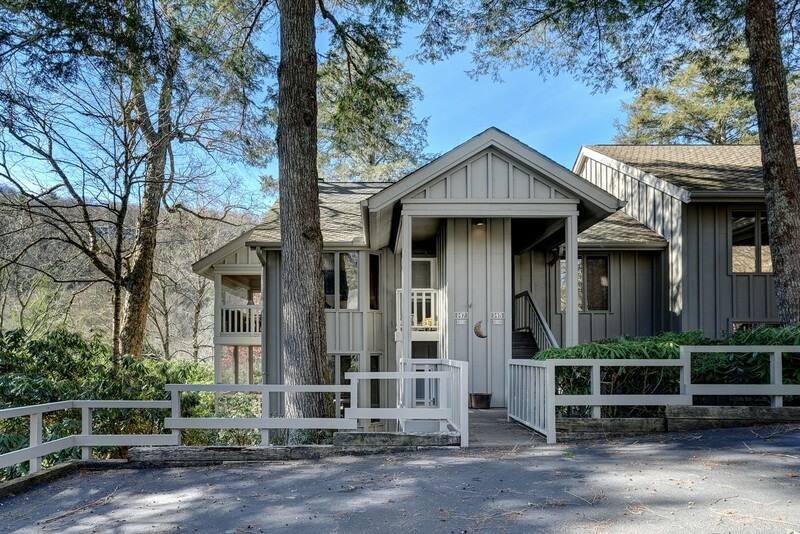 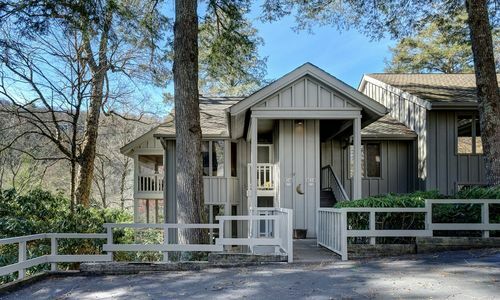 Being a highly sought after corner unit, it is light and bright with access to 2 covered porches, one screened and one open, to take in the views. 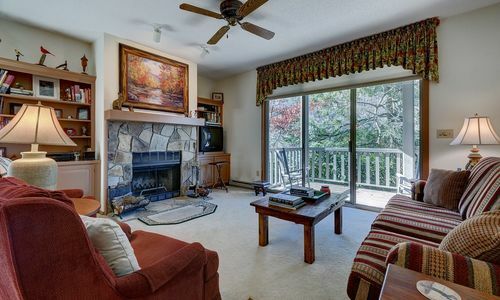 Graced with 9 foot ceilings throughout and a stone fireplace in the living room, this is the perfect place to spend your summers. 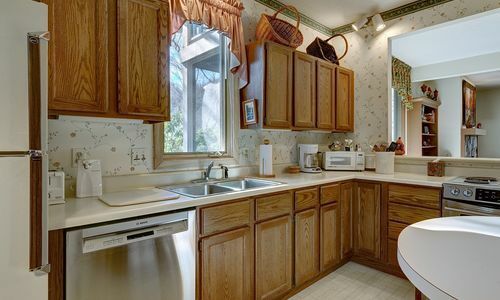 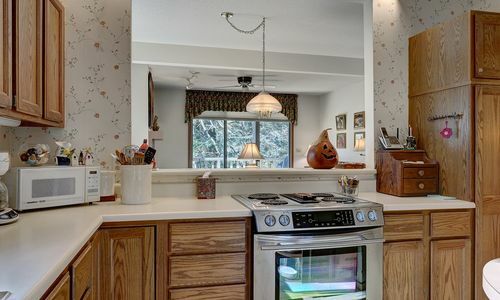 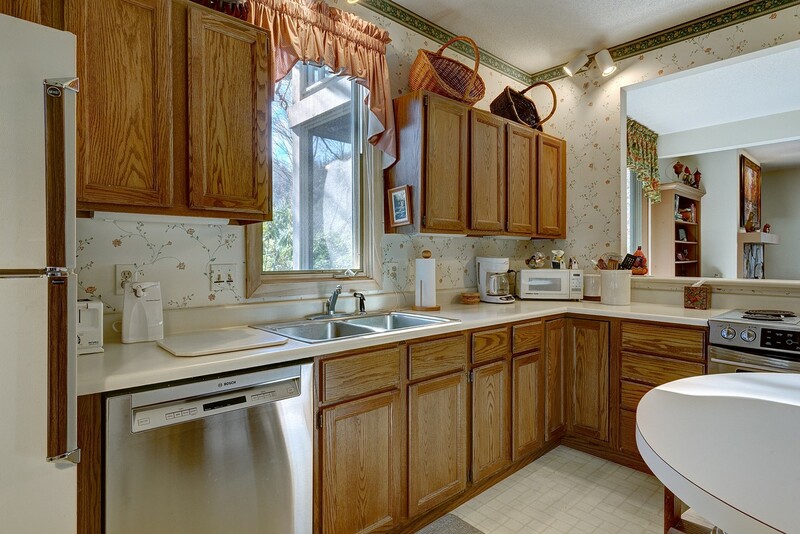 The kitchen features stainless steel appliances, breakfast nook and is open to the living room. 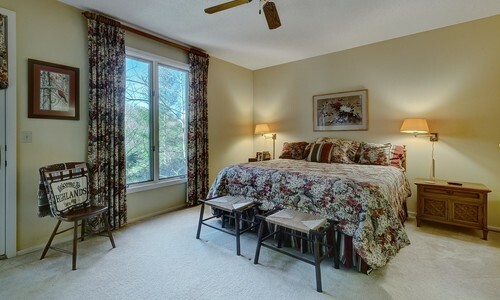 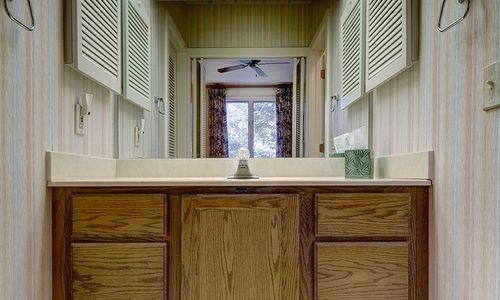 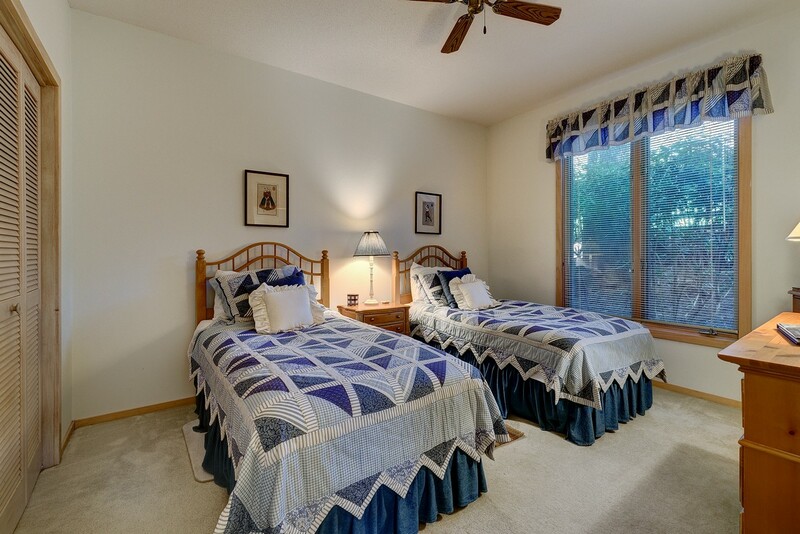 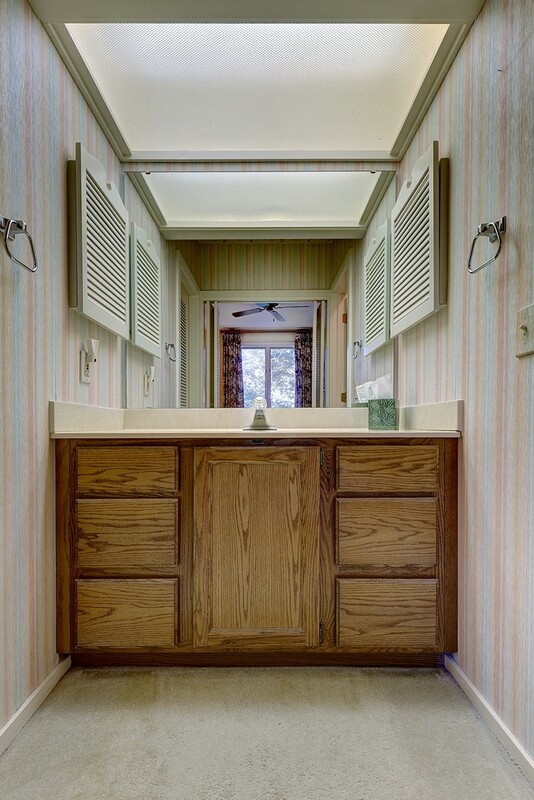 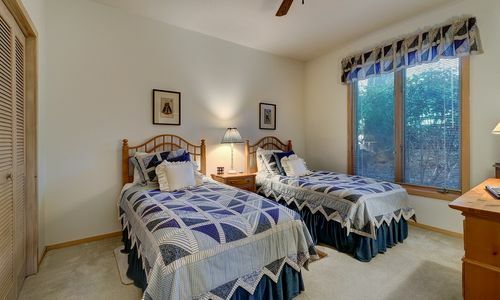 Master suite is large with walk-in closets and access to one of the decks. 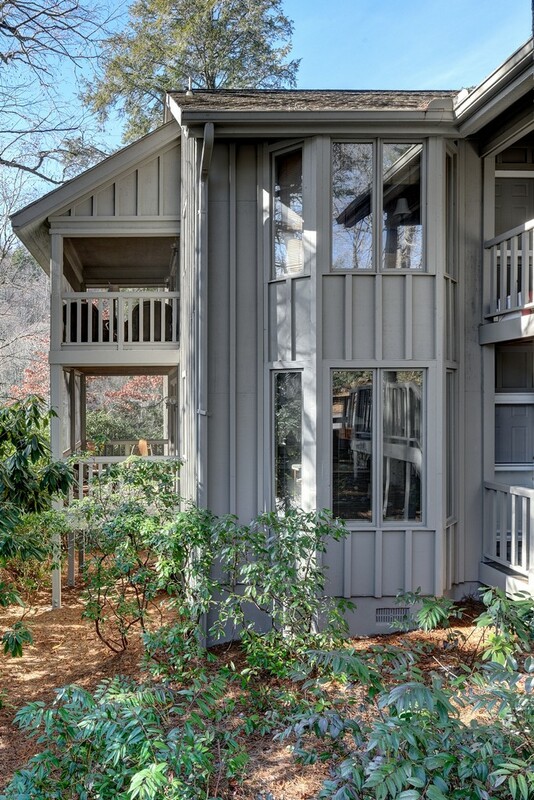 Association fees include exterior building maintenance, landscaping, exterior fire and hazard insurance, cable TV and 24 hour gated security. 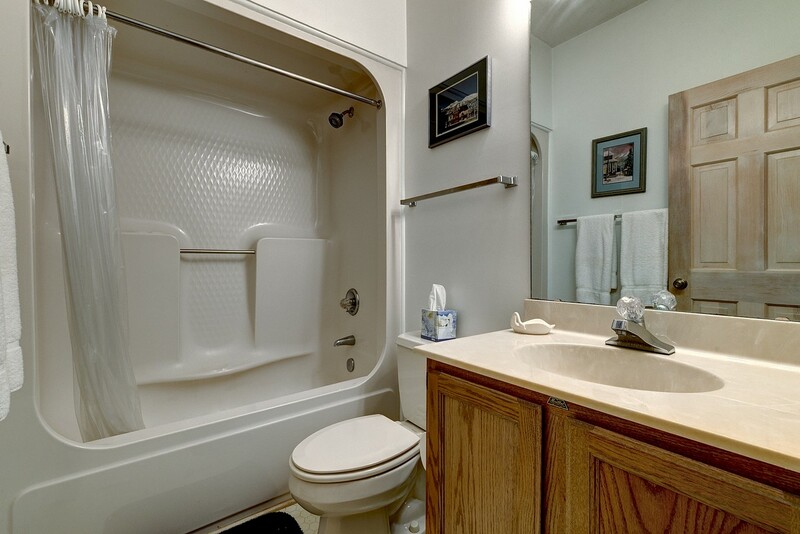 Road maintenance, water and sewer usage is also included.